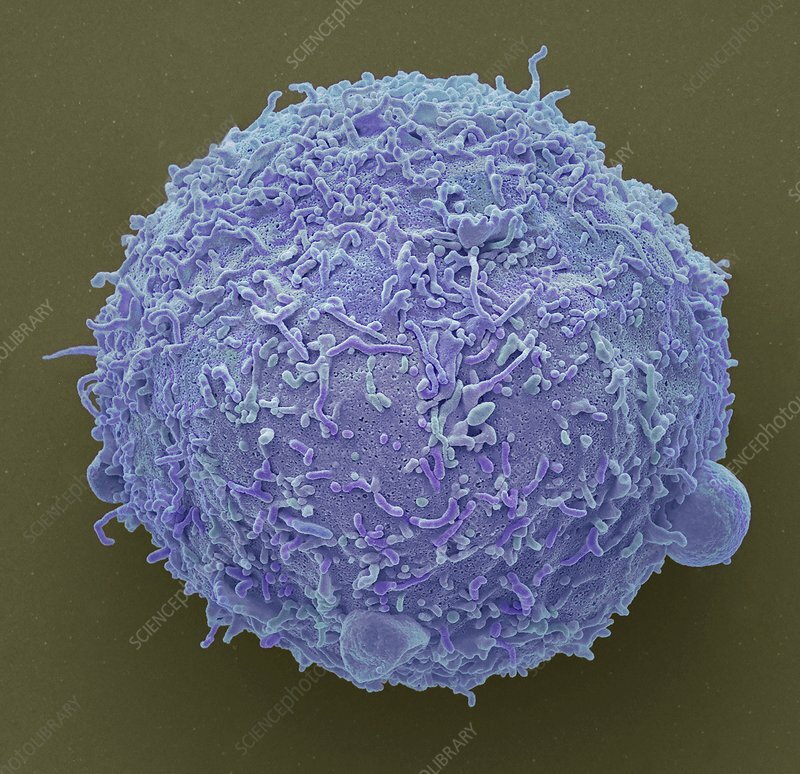 Breast cancer cell. Coloured scanning electron micrograph (SEM) of a breast cancer cell. Cancer cells divide rapidly in a chaotic manner and may clump to form tumours. They often invade and destroy surrounding tissues. Breast cancer is the most common form of cancer in women. It can be treated by surgical removal of the cancerous cells, often combined with radiotherapy and chemotherapy. Magnification: x 6000 when printed at 10cm wide.